Man, is it hot in the NYC. 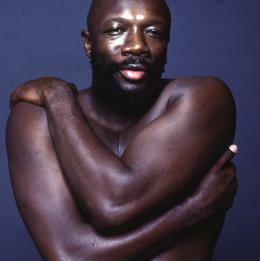 I was trying to think of the hottest song I knew and I kept coming back to Isaac Hayes’ 12 minute version of “Walk On By.” You just don’t get more hot and sultry and soulful than this. It’s from his LP ‘Hot Buttered Soul.’ Those three words – “Hot Buttered Soul” – say much more than I could ever say on the subject. It’s too hot to type. The computer is burning my lap. Why dont you get into something a little more comfortable, download, pour an ice cold beer and I promise these 12 minutes will make a difference in your night. Money back guarantee.